About Symbolsink Our company is a Chinese ceramic sanitary ware manufacturer and distributor with over five years of experience in the North American market. From washbasins to toilets, from bathtubs to shower floors, our products are all made of top-quality vitreous china, available in a wide range of designs and styles and sold at very competitive prices. Having become one of the leading companies in the Chinese sanitary ware industry, we have set quality standards and customer service as our top priorities. Packing and cargo handling As professional sanitary ware exporter, we have matured a unique perspective on our products packing as well as on cargo-handling. No matter the entity of your order, we will help you find the smartest solution to meet all your requirements and support your sales. 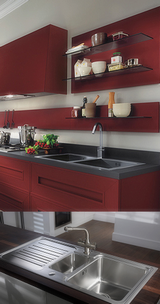 Symbolsink’s commitment to excellence Excellence both in terms of quality and in terms of price. When you buy from us, you buy from the source. Take a moment to browse our website and look at our products. For any enquiry about our sinks, toilets, tubs or other products, do not hesitate to contact us.